Bundling FFIV, The After Years, and a new interlude, this version has the most content of any FFIV release. 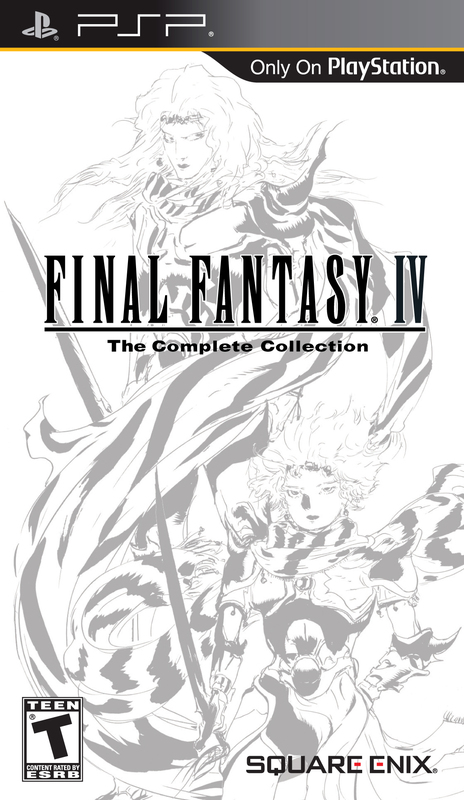 Having played through Final Fantasy III a few years back, and now having completed Final Fantasy IV, I can see a noticeable divergence in the series. This was no doubt brought about because of a new console generation. FFIII was originally released in 1990 for the NES (or Famicom, rather as it wasn’t released in the west until the 2006 DS remake) while FFIV was released in 1991 for the Super Famicom and SNES. Despite only being released a year apart, comparatively, the narrative and gameplay are worlds more complex in FFIV. 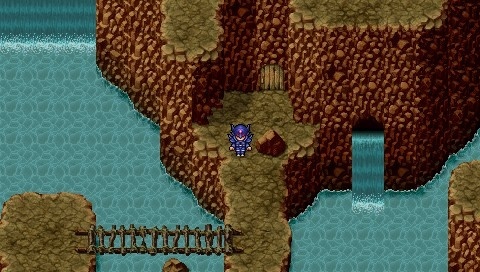 Beginning in the kingdom of Baron, Final Fantasy IV centers on Cecil Harvey. A devout and highly ranked member of his king’s military, Cecil follows the orders of his king, to the point of attacking a neighboring city to obtain their crystal – an important and mystical object. Upon questioning the king’s actions, Cecil is stripped of his rank and assigned the task of delivering a package to another neighboring village. The package winds up being a ruse, containing monsters which level the village. After these events, Cecil begins his quest to discover the actions of his king. Ultimately though, it’s a quest to discover Cecil’s identity and rid himself of the darkness in his heart. Dungeon crawling is a major aspect, per usual. 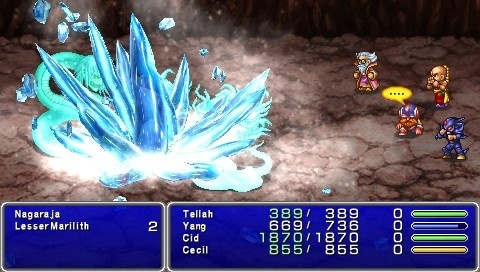 Although there is a clear and singular protagonist in Cecil, Final Fantasy IV features nearly a dozen named protagonists who shift in and out of Cecil’s party as major events happen. Also hailing from the kingdom of Baron are Kain Highwind and Rosa Farrell. Kain is fellow soldier, rival, and friend. Rosa is a friend and love interest to both. Cecil and Rosa are clearly meant to be together and Kain deals with his jealousy throughout the course of the game, at points, succumbing to the darkness in his heart. Cid Pollendina is another Baron native and is the creator of airships and services the king’s vast fleets. He’s a rambunctious man who lends more than a hand. There’s also Rydia, a young summoner and sole survivor of the village Cecil inadvertently leveled. She harbors hatred for Cecil early on, but eventually realizes he wasn’t to blame. Tellah, a powerful sage, joins Cecil and his party as he searches for the prince of Damcyan. Edward, the bard prince, was engaged with Tellah’s daughter before she perished. Tellah had felt Edward was to blame until he learned of the couple’s love for each other. A strong monk, Yang, joins the fight after the antagonist Golbez brings the fight to his hometown. The twin mages, Palom and Porom, bring lighthearted humor to the narrative. While only a few years old, they’re very knowledgeable about their craft. Two late-game additions are Edge and Fusoya. Edge is a cocky prince looking for revenge against Golbez. Fusoya is a lunarian – a resident of the moon. The party was usually stacked with five protagonists. 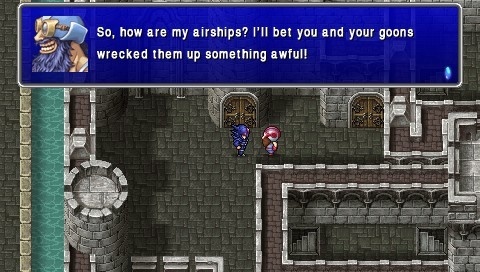 The dialogue in the game is very limited compared to modern video games. That being said, the characters’ personalities do shine through and the sheer number of them kept the game fresh. As this was my first time to play Final Fantasy IV, I cherished coming upon dialogue and events that I’ve heard described as classic. Experiencing and understanding the context of the “you spoony bard” line was a favorite of mine. The major events were often too, helping to captivate me. Especially the final hours of the game which saw Cecil and the party fly to the moon! This was something else after thirty hours of traveling on Earth, never expecting anything different. Speaking of memorable and important events, Final Fantasy IV is the game that introduced the active time battle system, or ATB system as the game refers to it. Allies and enemies continue to take turns but time continued to flow while I chose a character’s action. This could be switched to pause time while navigating menus, but I chose to experience the battle system with time continuously flowing. In the version that I played (Final Fantasy IV: The Complete Collection for the PSP) each character had a meter representing their turn. The meter filled at a rate dependent upon the speed of the character in question. For instance, someone dainty like Rydia should be able to a get three actions in for two of Cecil’s. Lacking the job system introduced in Final Fantasy III, all the characters in Final Fantasy IV are specialized. I wasn’t troubled by not having that customization over the protagonists. Due to the brisk narrative, characters were shifting in and out of the party frequently. Therefore, I never got bored of the composition of the party. Sections were never too tough either. The game was balanced in such a way that I was never able to blame any failings on me losing a powerful character or a healer. Yet, I did have to do plenty of endgame level grinding to conquer the final boss – an hour or two at least. Cid is a rambunctious old man. I was honestly blown away by how much I was captivated by Final Fantasy IV. The dialogue was relatively bare-bones, and reading up on the development proved some of my theories on content being cut, but I still was captivated. The narrative moved briskly and thanks to the always changing party composition, it was hard for me to get bored of the random battles. I played the PSP version and I can look forward to playing The After Years at some point as the games are bundled together. My only gripe with this version is the inability to play with the original graphics. I would’ve appreciated the ability to switch between the redone visuals and the original sprites as I was able to do with the soundtrack in this version. For being twenty-plus years old, I still found the game to be captivating. Much more so than the previous game in the series. What a difference a year can make! I cannot even COUNT the number of times and friend and I played through this game. The fact that you can use a 2nd controller on the SNES version (as well as the Wii Virtual Console) and control characters in combat gave it a multiplayer aspect that – at the time – was enough for most of us gamers. I never played it with the enhanced visuals, as even the Wii console has the original sprites. Still – a classic game with a lot of twists and surprises. And yes, I understand the context of the “You spoony bard!” line. For years I didn’t even know it was a meme. Wow, I didn’t know you could use an additional controller to control the other protagonists; that’s too cool! I started up FFV a few days ago via the Final Fantasy Anthology PlayStation compilation and I want to say it also has that feature. That reminds me very much of the Tales of series. That’s a personal favorite of mine. Had to be, I only had a GameCube for the majority of that console generation.